Notenzauber Presents: Jazz Music this weekend on Landroval! Click here for more info! The Bounders of the Shire and the Green Hill Music Society are hosting their 8th annual celebration of "Fat Hobbit!" The event takes place on February 28th at 8:45 PM Eastern at the Bird & Baby Tavern in Michel Delving. Click here to learn more about this music and dance event! Alezina is taking in-game Role Play-focused screenshots! Click here to see them! D&Co du Milieu are organizing a Housing contest for later in March! Click here to read more from this French-language web site! To nominate a Community Spotlight, email contact@standingstonegames.com with the subject "COMMUNITY SPOTLIGHT"
The Suffering Knights of Snowbourn are recruiting on Evernight! This kin came together from two separate Kins and plays all levels of the game at their own pace. Click here to find out more about them! Email contact@standingstonegames.com with the subject "KIN HALL" to feature your Kin! What is a terrible Hobbit breakfast? Dadi's LOTRO Guides has published an extensive Warden Class Guide! Click here to read it! Bio Break travels to the Shire! Click here to read Syp's thoughts! Andang runs Volume 4 Part 9 of the Epic Story! Click here for the video! 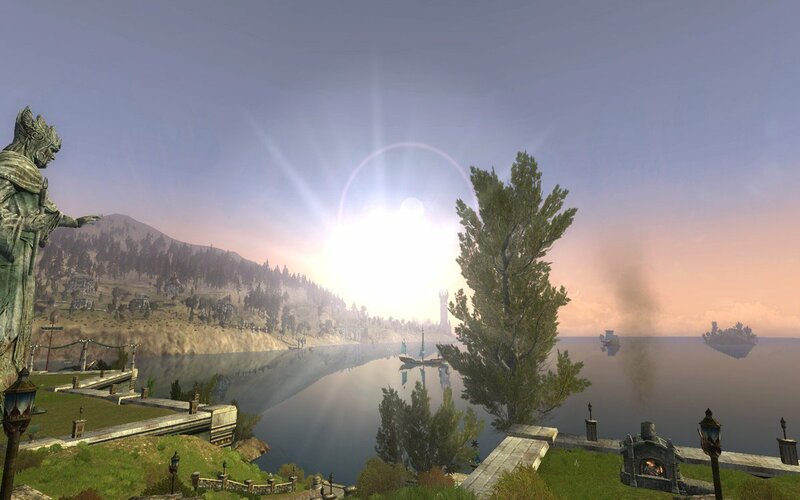 LOTRO Players News Episode 190 offers the latest news and commentary from the world of LOTRO! Click here to watch or listen! Renaissance Gaming takes part in the Yuletide Festival! Click here for event tips and more! Zogog searches for Narchuil and more! Click here for his latest let's play! StinePlays continues through Roving Threats and Evendim Deeds on Twitch! Click here for her broadcast! Get a Free Gift for being VIP! Click here to find out how to get a Steed of the Eldar, now through March 12th! If you haven't read our latest Producer's Letter, click here for a look at our plans for 2017! Update 19.3 is our newest game update! Click here for the Release Notes! Cordovan discovers the dangers of stepping stones! Click here for Q&A and fun with +Cord of the Rings! The Kinship Wisdom of the Valar provide this week's screenshot as many folks look ahead toward warmer weather! Click here to follow them on Twitter! LOTRO Bonus Days celebrates a Lootbox Weekend! Now through February 26th. The LOTRO Store is offering 20% discounts on the Shared Wardrobe, Cosmetic Outfit Slots, Mounted Combat Trait Specs, and select Cosmetics! Now through March 2nd! The Weekly Coupon will get you a FREE Rejuvenation Potion x5 with the code DRINKME, now through March 2nd! MassivelyOP delves into housing improvements in a new article here! MMO-Central.com chats with members of the LOTRO development team! Click here to read all about it!